Patient volume leakage has emerged as a top concern for hospital CFOs. Why? Because it costs 90% less to retain patients than it does to attract new ones. And with the increasing amounts of free, public health information available, patients are becoming savvy consumers that will quickly switch providers if they think they can receive better care elsewhere. 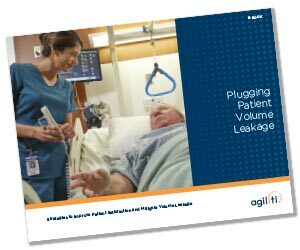 Patient volume leakage can cause significant damage to your bottom line. Uncover easy-to-implement ways to keep patients happy and coming back. Complete the form to receive this E-Book.